During recent summers, children living on the West Coast of Canada have been breathing some of the most polluted air on record. This is due to seasonal wildfires, which have burned through vast zones of North America and affected even larger areas with their smoke. 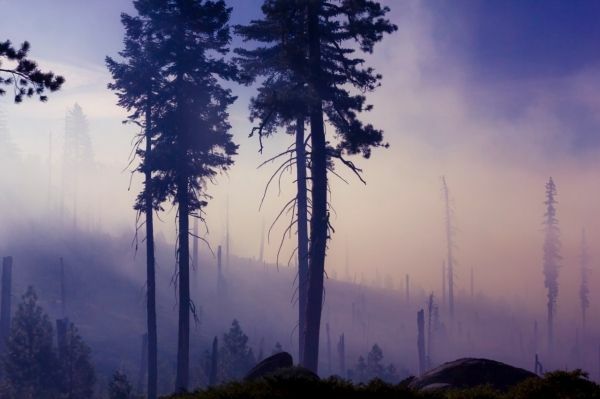 The polluted air generated by wildfires is responsible for hazy skies, charcoal-like smells and a noticeable spike in people reporting trouble breathing. Already many more fires are raging across British Columbia than last year at this time, and fires are also exploding across the West Coast of the United States. Continue reading at Simon Fraser University. Image via Simon Fraser University.